Dr. Di Stefano is a laureate of the Canadian Memorial Chiropractic College (CMCC) Class of 2004. He also studied clinical acupuncture during his chiropractic education and has succeeded in achieving the distinction of a certified acupuncturist. At his convocation he was awarded the class of 2000 scholarship as well as the chiropractic sciences award in acknowledgement of his diligence, conscientiousness, and hard work during his four years of study at CMCC. Prior to the commencement of his chiropractic career Dr. Di Stefano studied at York University where he majored in Kinesiology and Health sciences. While studying at York he also attained the status of a certified fitness consultant with which he has made an impact on the quality of life of many individuals in health clubs as well as other corporations through health promotion. He has worked with many sports teams assisting in conditioning and treatment of athletes and their injuries. Dr. Di Stefano conducts ongoing seminars on sports/work injuries and prevention, ergonomics, physical fitness, chiropractic healthcare and nutrition. He has also made several appearances on TVO to discuss health issues. He currently holds a position as the Medical/fitness director for the Canadian Institute for Bariatric Options. He is the Medical Director/Conditioning coach for the World Champions group corporation and chiropractor/conditioning coach for the World and Canadian Boxing Federation. Due to his expertise and determination he assisted the heavy weight Canadian Boxing Champion in obtaining his title. In addition, he is also the president of ProMedx Therapeutics Inc., a company which specializes in the development of pain management devices. A vision of the future for Dr. Di Stefano entails an expansive increase of health care professionals working together in a multidisciplinary setting with more treatment options and services available to patients and athletes. 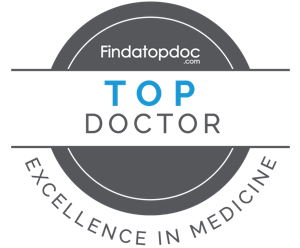 Philosophically, Dr. Di Stefano believes in the highest standards of treatment, and also believes in helping patients take control of their situations from a patient centered perspective through health care, education, nutrition, and fitness. Through the integration of these many facets of healthy living, he endeavors to create comprehensive treatment plans designed on an individual basis where the patient is an active participant in their goals and achievements. As such, Dr. Di Stefano displays a strong commitment to the chiropractic profession and demonstrates an incredible passion for his patient’s well being.